Aromatherapy is all about using scents to enhance your mood & mindstate. So just imagine how good you’ll feel when you can bring the rich, savory scent of Kentucky Fried Chicken’s homestyle gravy into your home without any of the MSG or diglycerides! 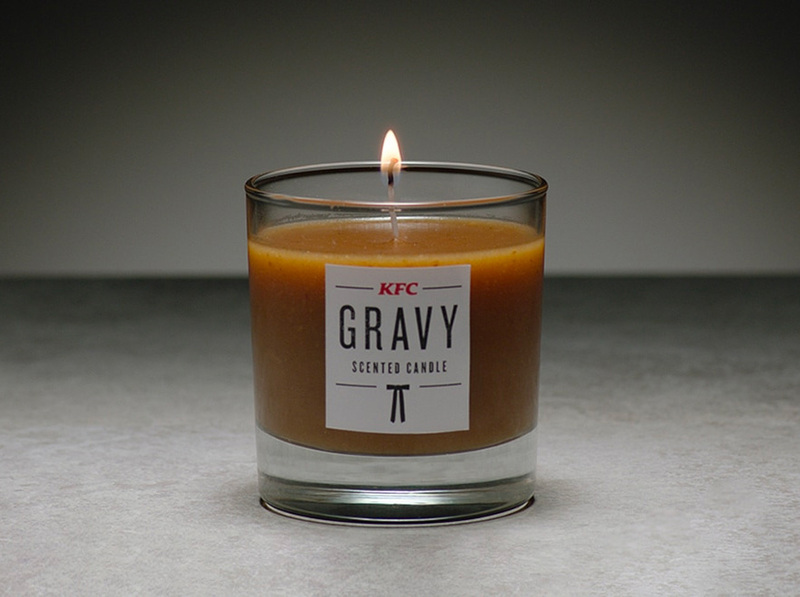 With the KFC Gravy Scented Candle you can enjoy that meaty, familiar fragrance any time. Only 230 of these candles to be given out. Enter the contest to win.